Kurt Cobain was an outstanding musician and the leader of Nirvana, he inspired a generation and left his mark on rock- music forever. Nirvana combined the furious wild young rebel- sound with complexed structures and dense atmosphere. Like all members of the Club of 27 he passed away too young but the intense Nirvana- sound is alive forever. 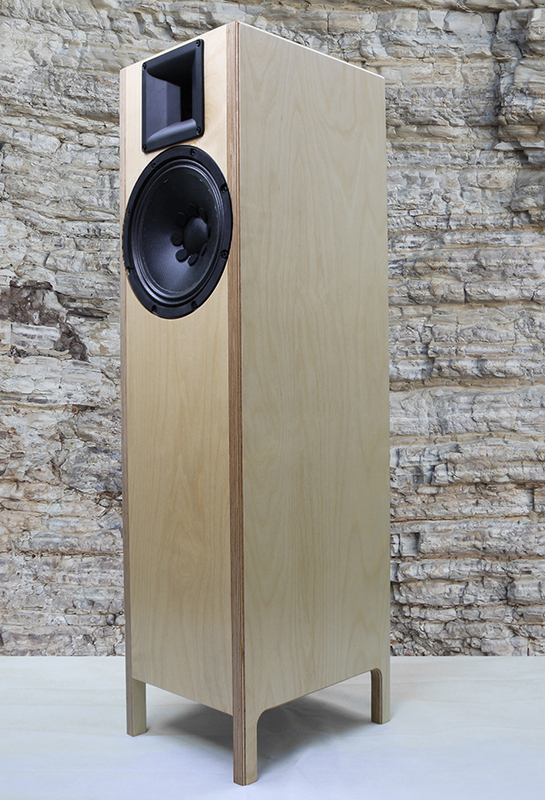 The Club-27 Kurt speakers mirror this approach, they offer high resolution combined with stressless, natural sounding mids and powerful straight forward sound. 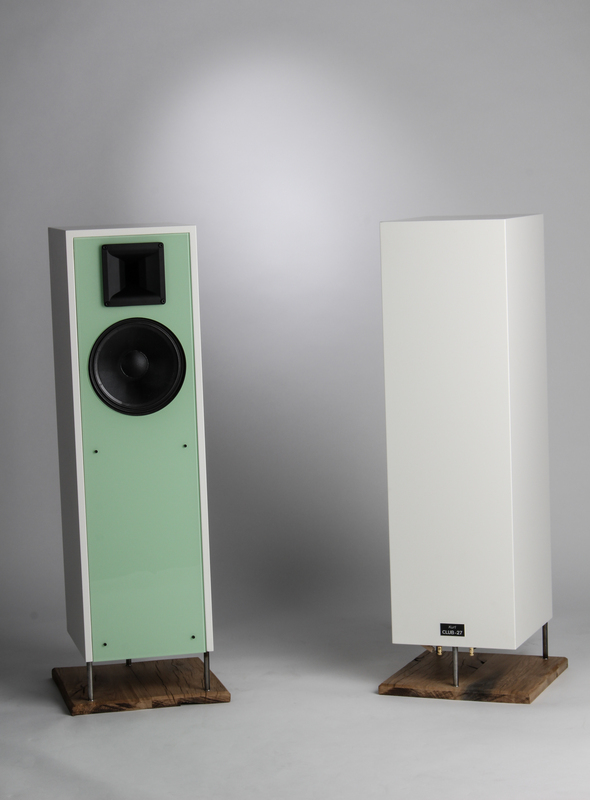 The Kurt speakers are elegant in sound and look and they easily fill even larger sized rooms with beautiful music. They present the music in a very accurate and coherent way, to my ears all the different facets that are part of the mix are in the right place and at the right place in the sound stage. There is a real three dimensional feel to the music and the speakers just disappear which I like and is a neat trick that only the best speakers can pull off. And they are fast, as quick as any small speaker I've experience of, which makes them fun to listen to. They remind me of the Horning Agathons I heard at Rick's, they can't get as low as the Hornings but they have that speed, immediacy and realism that those Hornings had. The Club-27 Kurt speakers sound bigger than they look and much better than expected keeping the affordable price in mind. The Club-27 Kurt speakers offer powerful sound and fundamental, dynamic basses because of the self- regulating floor- firing basshorns. The crossoverless 10“ wideband drivers offer high efficiency producing satisfying dynamics with any kind of amps. The midrange sound is warm and natural. The high efficiency and the direct coupling of the wideband drivers to the amp guarantees superior resolution of finest details and outstanding transient response. The horn- tweeters have phenolic diaphragms for best tonal balance and crossovered by the single cap they offer seamless integration mirroring the ability of the wideband drivers to reveal finest details which let the music become alive. The Club-27 Kurt speakers attend you on your inner trip and they bring you wherever you like to go. 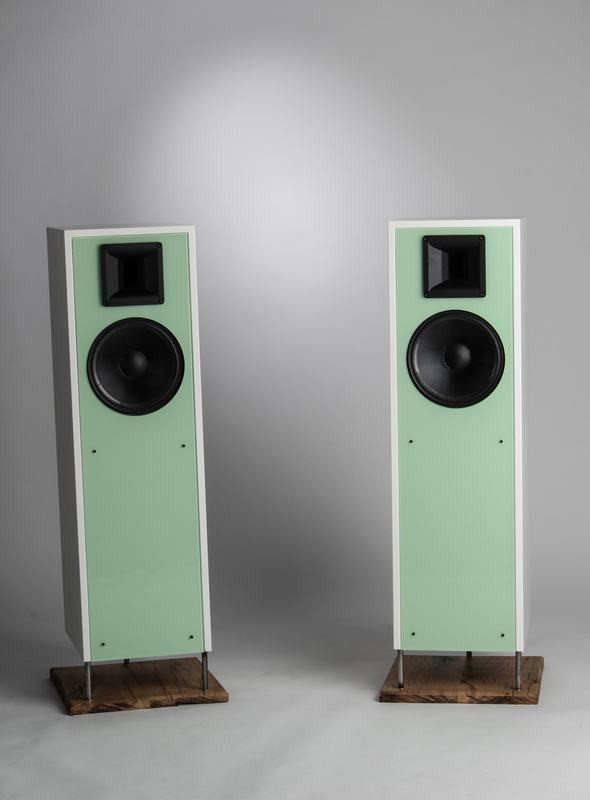 The Club-27 Kurt speakers carry- in a new quality cancelling out existing price/sound categories. I've not written a review of a product before but a recent loan of these speakers by Des inspired me to try. 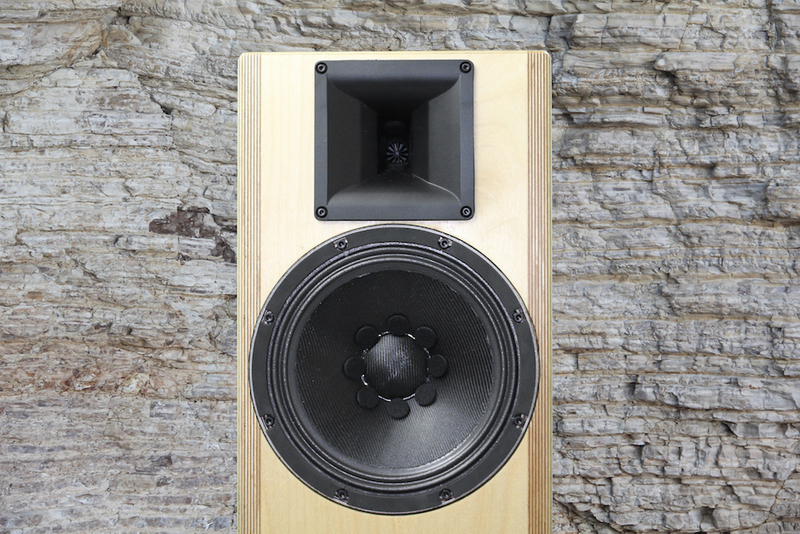 The Club-27 speaker company are an offshoot of Bastanis and have put together a range of speakers which can be bought assembled, or in a kit, or just as drivers with a set of plans to allow you to build the cabinets yourself. They consist of a 10 inch wideband driver coupled with a 1 inch horn tweeter and the cabinet is bassloaded. They are quoted as being 94db into 8ohms but I would guess that is a conservative sensitivity rating as they go loud on my 18watt valve amp. An ample listening level is reached at about 8 o'clock on the volume knob. There is more info on their website and I'm not an expert on the technicalities but I know what they sound like. I've been looking for a good match for my room particular as speaker placement is not ideal and for something that works well with my 18watts 211 valve amp. I've tried a few different models lately some I've borrowed, some I've bought and I've enjoyed them all in different ways, but the Kurt's have just raised the bar. They sound so right to my ears, they just pick up every little detail and present it in such a musical and cohesive way. They make you feel like you're not missing anything and I'm pretty sure that you're not. The mid range is just beautiful, voices sit just right in the mix and every emotion of the singer is laid bare for the listener to enjoy, I feel like I'm hearing accurately what the singer sounded like when he or she stood in the vocal booth laying down the vocal track. Nothing added or taken away just what they sounded like on that day. Instruments are so realistic, which is something I noticed immediately. I play in a band and I know what guitars and pianos sound like and to my ears these speakers are as accurate as I've heard in my listening room. Piano is hard for any speaker to get right but the Kurt's haven't tripped up yet they can even reproduce the feel of the pianist as they hit keys hard or lightly and the emotion the musician wanted to portray, just as they do with the vocals. They do the same with guitars, as you listen the strings vibration is there in the music, strung instruments are so sensitive to the style of the player and that comes over to the listener in bucket loads. The high frequencies are crisp and percussion like shakers and triangles add an ambience to the music that is easy to pick out but doesn't jump out and spoil the overall mix. Cymbals are just right, they are so realistic and when the drummer is being gentle and just tapping the bell or the high hat that is what it sounds like a tap, but it doesn't get lost it is there gentle and atmospheric. The metallic splash of the different cymbals is good too and the decay as the vibration disapates through the metal is recreated bang on. Orchestral strung instruments are treated very sympathetically, violin is so sweet and the weightier strung instruments like a group of chello actually give the aural impression of vibration which is what the body of the instrument is doing to amplify the vibration of the strings. The bottom end is very well balanced and does not dominate as some larger speakers sometimes can. They probably don't go as low as some large speakers can but in my room that is a good thing. I still reckon they are getting under 40hz which is good enough for most of us. From my calculations I reckon it would cost around £850 to £1000 to build a pair, which isn't chicken feed, but I reckon if you where to try to buy a ready made pair of speakers from a big name manufacturer with this kind of sound quality you'd be looking at some serous cash. I would say at least four times the cost of building some for yourself. If they make an appearance at Harrogate or next years Scalford show do yourself a favour go and have a listen. I think you might like them, I bet you've already guessed that I do.